We often talk about how important it is to us to have a strong customer support team and we pride ourselves on supporting not just our existing product line but also our legacy products. 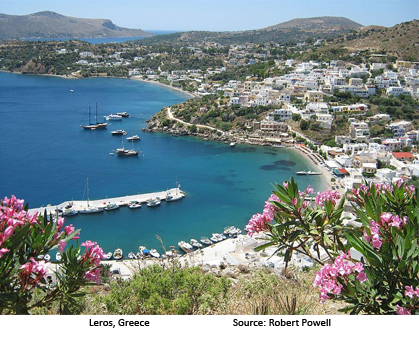 That's why we were delighted to hear from a customer who purchased an old sailing boat in Leros, Greece that was equipped with a Raymarine instrumentation system he was trying to repair. The instrumentation system was connected to a laptop via a Raymarine hsb2 PC interface that had Contemporary Controls’ logo on the back. Several pins were corroded, but he was uncertain of how to solder them. Because our logo was on the back of the PC interface, he did a website search and reached out to us. Our customer service team knew immediately what product he was looking at and was able to provide him with the wiring diagram he needed to repair the unit. Raymarine designs and manufactures electronic equipment for recreational boating and light commercial marine markets. Raymarine's onboard instrumentation includes radars, chart plotters, fish finders and a personal computer that are all connected to a hsb2 (high-speed bus) token-passing network similar to ARCNET technology. Because we are leaders in ARCNET connectivity products, several years ago Raymarine asked us to develop a custom PC Card interface to the hsb2 data network. Working with us shortened development time and reduced costs compared with having to develop their own interface. "It was a fun trip down memory lane," said George Karones, Staff Engineer at Contemporary Controls. "I was the hardware engineer that developed the equipment interface for Raymarine years ago, so it was nice to see the product being used." After a small soldering repair, the instruments worked correctly and our customer was able to sail to the lovely Cyclades islands. Sadly, he did not invite us along.